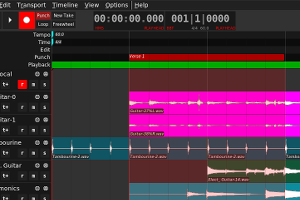 The Non Timeline is a powerful, reliable and fast modular Digital Audio Timeline arranger, released under the GNU General Public License (GPL). It utilizes the JACK Audio Connection Kit for inter-application audio I/O and the NTK GUI toolkit for a fast and lightweight user interface. Non Timeline can be used alone or in concert with Non Mixer and Non Sequencer to form a complete studio. Please see the Manual for more information (and plenty of screenshots). Non Timeline shares many features in common with other, similar projects. However, Non Timeline's unique architecture permits surprising new functionality. For the absolute best in low latency, high performance, production grade audio, Non Timeline uses JACK for realtime audio routing. This unique ability to store state in a compact journal of bidirectional delta messages of plain text means that Non Timeline takes zero time to 'save' projects and there is zero risk of project corruption. Plus, undo data extends all the way to the beginning a project--while consuming no additional RAM. Whether recorded or imported, once in Non Timeline the audio files are never altered, duplicated, or deleted. All editing is done on 'region' structures which represent portions of audio files. This makes projects very lightweight and 'undo' instantaneous. Bounce audio at faster than realtime speeds. Either all internally, or through Non Mixer or standalone JACK programs. 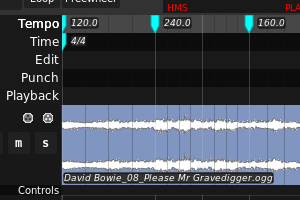 Audio files can be dragged and dropped from any DND capable file-browser directly onto tracks. 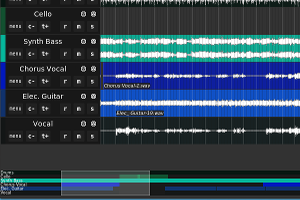 Recording may be optionally looped over an arbitrary section of the timeline, this allows an individual to record multiple takes of a part without having to return to the workstation to setup a new take. 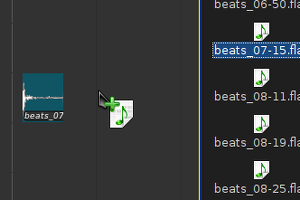 Recording may be limited to specific sections of the timeline by the definition of punch cursors. Any number of punch cursors may be defined. 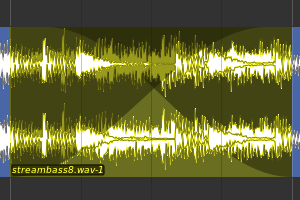 Where regions overlap, a cross-fade exists. This means that the transition from region A to region B will be gradual rather than abrupt. The shape of the gain curve may be selected separately for region A and B of the cross-fade. Available curves include: Linear, Sigmoid, Logarithmic, and Parabolic. 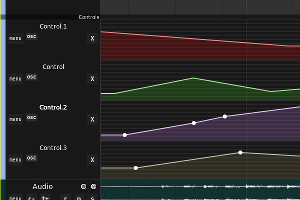 Each track can have an unlimited number of Control Sequences. Each control sequence represents a graph of changes to a single controllable value over time. Anything may be controlled, including external software supporting OSC, although the most common application is Non Mixer gain automation. The time and tempo maps (rulers) affect where and how many bar/beat lines are drawn. During playback they affect the time/tempo of the JACK transport so that other programs, like the Non Sequencer, can follow along in sync. Navigation is made easy with an always visible pan/zoom control at the bottom of the editor window which displays a thumbnail view of the entire timeline. 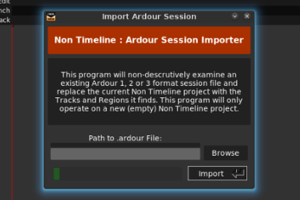 Non Timeline can import basic tempo information, sources, tracks, audio sources, and region placement from a existing Ardour version 1, 2 and 3 sessions. It even can import session versions that Ardour no longer supports, or cannot open without crashing. No installation of Ardour is required. Tracks in a DAW are unlike tracks on tape in that a single track can contain more than one channel of audio. Each audio track has its own record, mute, solo, and gain, as well an active take and any number of inactive takes. A track may also have any number of Annotation and Control sequences associated with it. 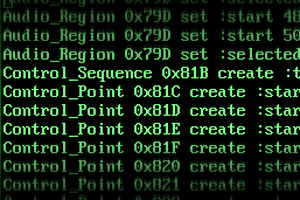 A take is a sequence of regions. Each track has current take, implied by 'the track', as well as any number of other, inactive takes. A track may be set to display all takes simultaneously, to ease the process of reviewing past takes or stitching together a new take from parts of previous takes. Old takes may be deleted, either one by one or all at once, when they are no longer required. Non Timeline can be set to automatically create new takes for armed tracks at the beginning of recording. This is especially useful in combination with looped recording. The following libraries are required to build Non Timeline.